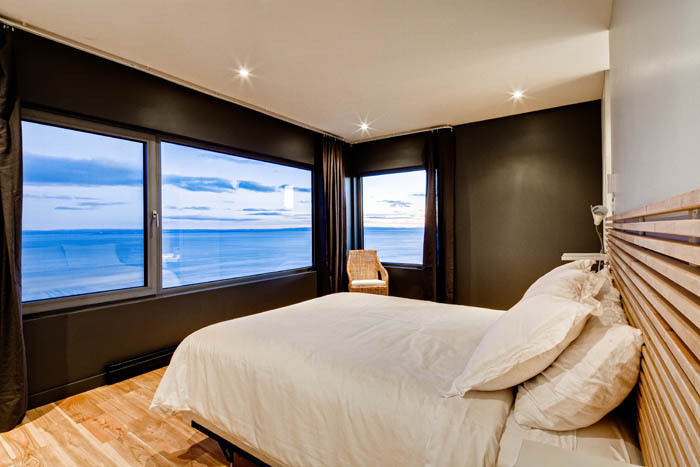 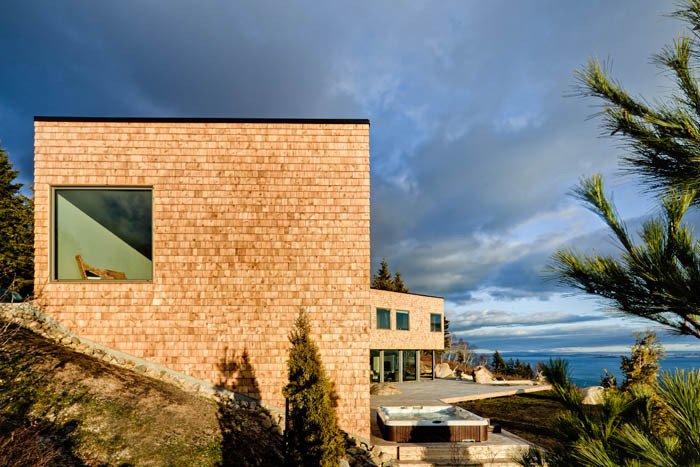 Located in Cap-à-L’ Aigle in the splendid region of Charlevoix, the residence Marée Basse (Low Tide) is part of the residential development Les Terrasses Cap-à-L’ Aigle. 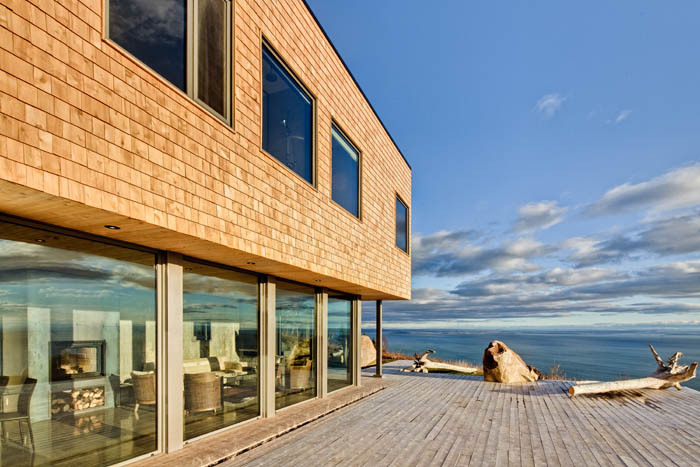 Capitalizing on an exceptional view of the St. Lawrence River, the surrounding nature and the land form of the region, this development meets the highest standards and promotes contemporary architecture and local know-how. 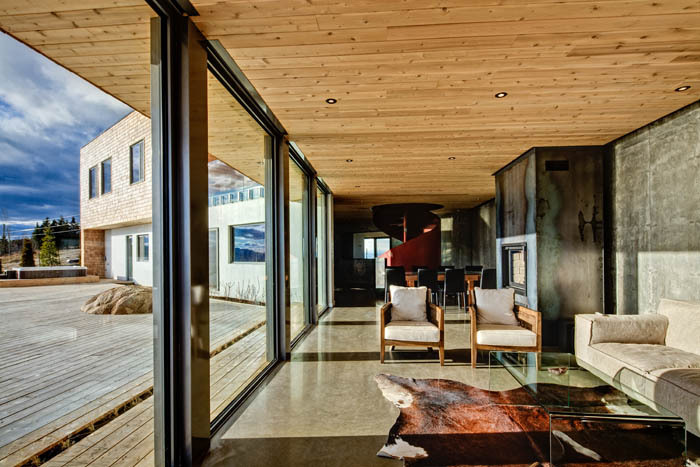 The concept of the residence revolves around two off-centered volumes positioned in such a way to take in as much sunlight as possible and to make the most out of the different viewpoints. 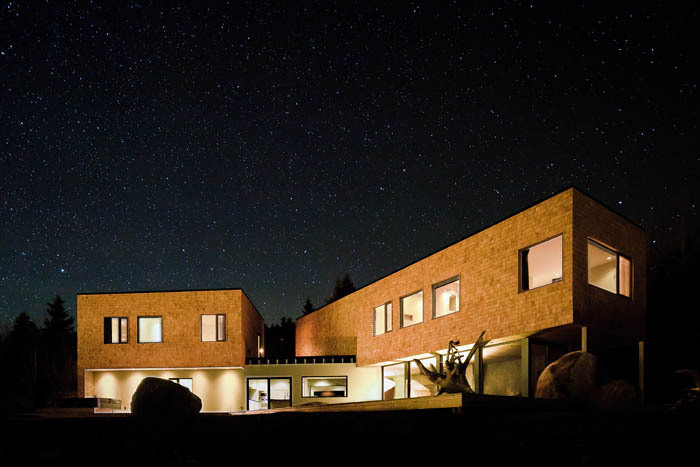 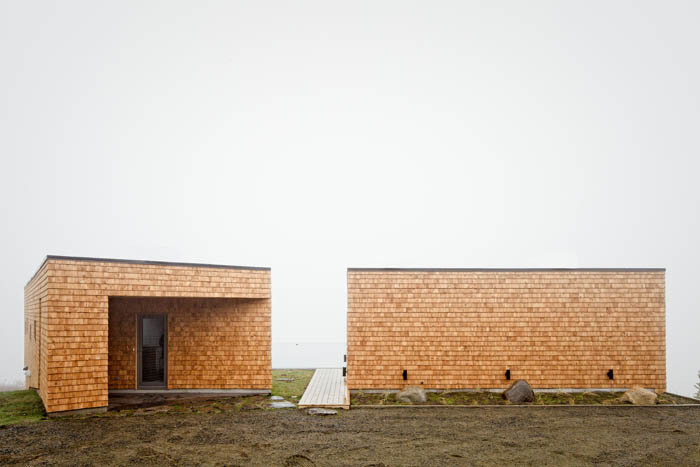 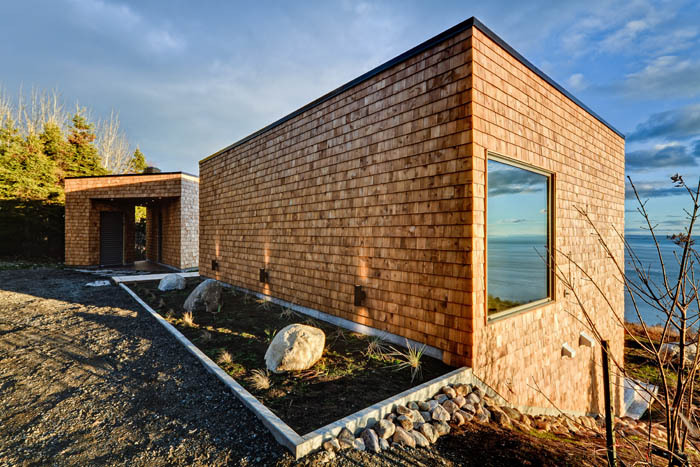 These two volumes seem to emerge from the forest and project themselves towards the River and La Malbaie. 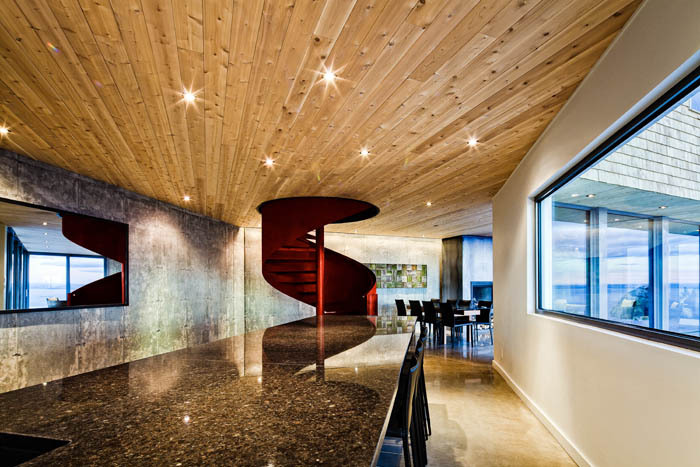 The whole house forms an angle that embraces a huge private terrace at the lower level. 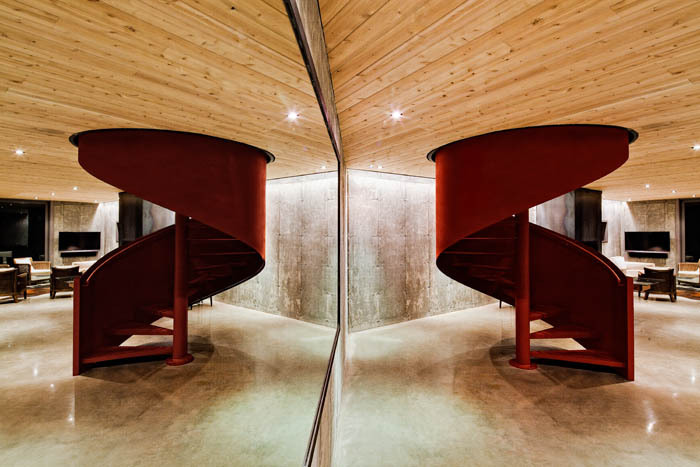 At the center of the house, an architectural red metal spiral staircase acts like a pivot to the two principal axes. 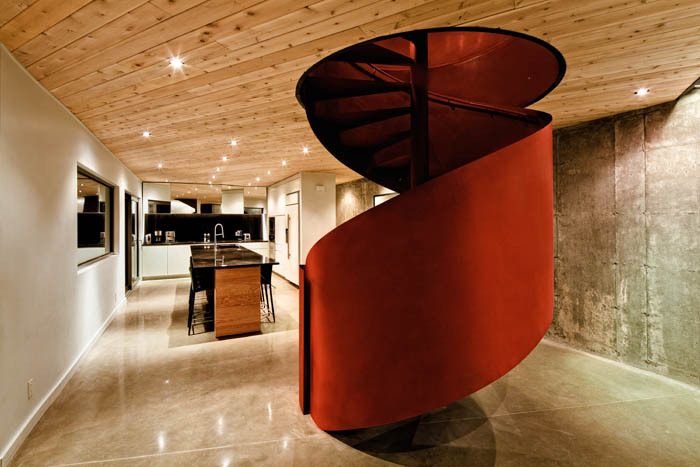 The living room, dining room and kitchen are connected to this staircase which incidentally serves as an ever-present visual signal. 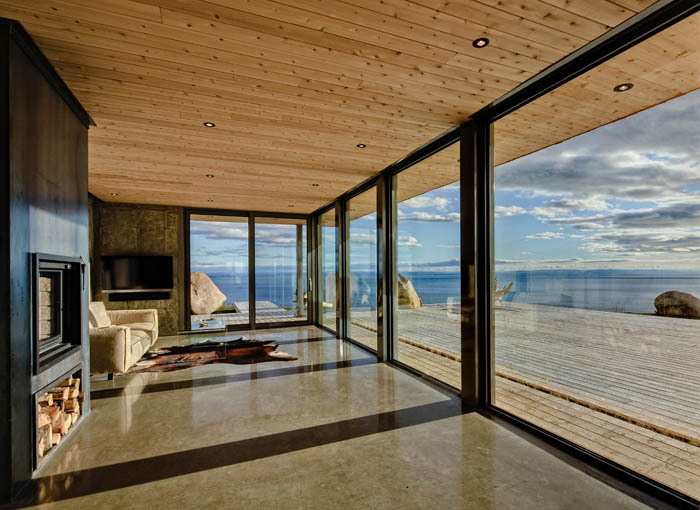 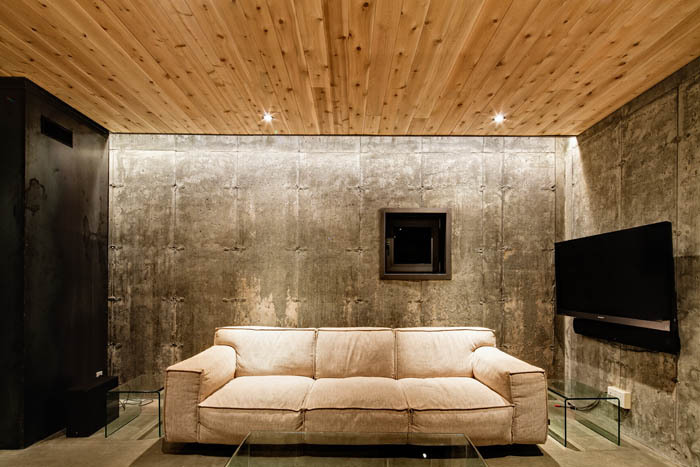 The radiant concrete floor and the foundation walls are left rough accentuating the contrast with the cedar ceiling. 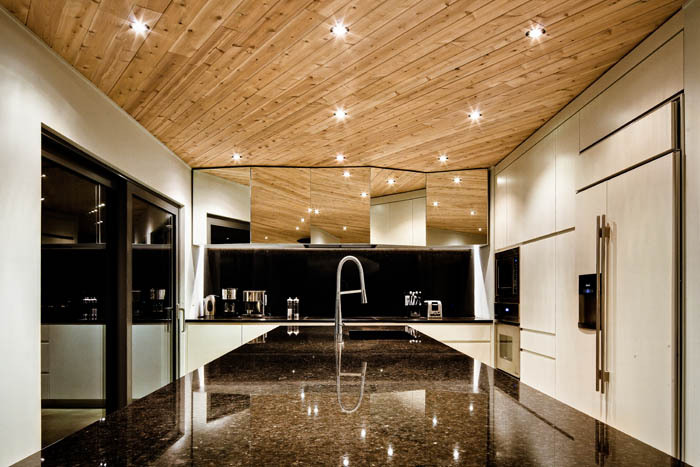 The kitchen, ergonomic and very contemporary, contains a large island counter which is used as a work surface and a dining table. 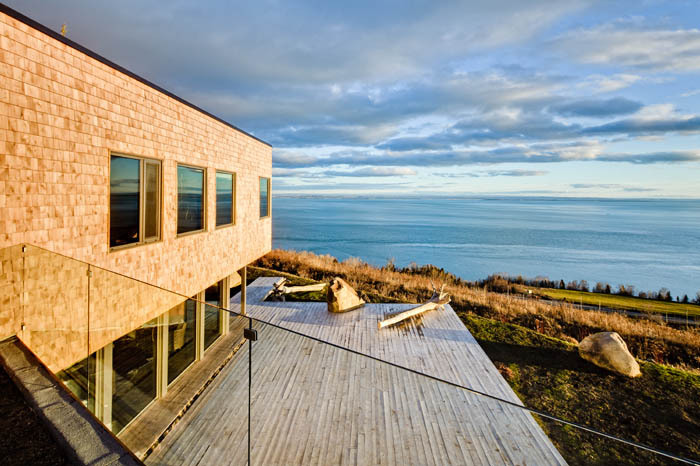 It sits in front of a large panoramic window offering stunning views over the river. 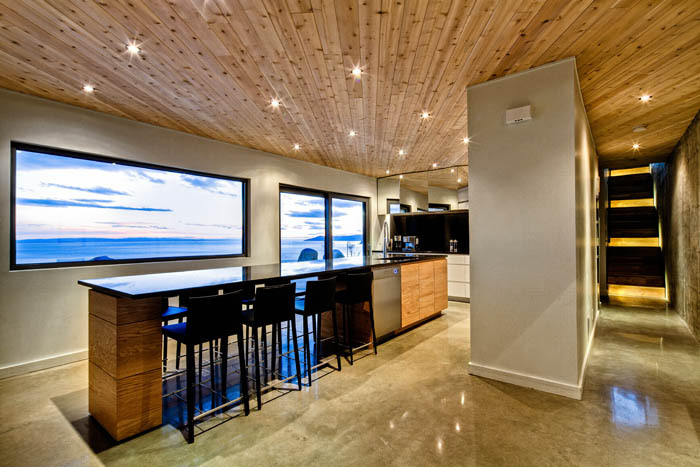 This roomy urban house of 3200 square feet built in a natural setting marries the site and its escarpment. 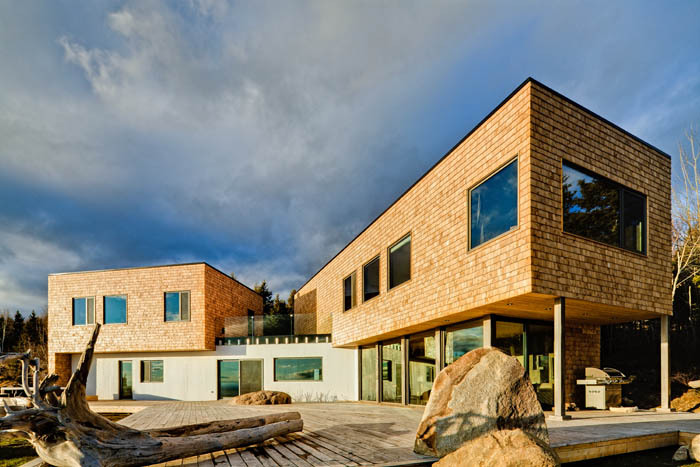 It is particularized by a vast 2000 square feet terrace, a real interior beach which extends towards the river, punctuated by large rocks and trunks as if they were left by the sea during low tide.